A neoprene cover with zip and carry handle for the BBBYO 570ml glass bottle and 500ml tea flask. This sleeve will protect your bottle from knocks & drops and insulate to keep drinks warm & cool. Machine washable. Tsumi design. 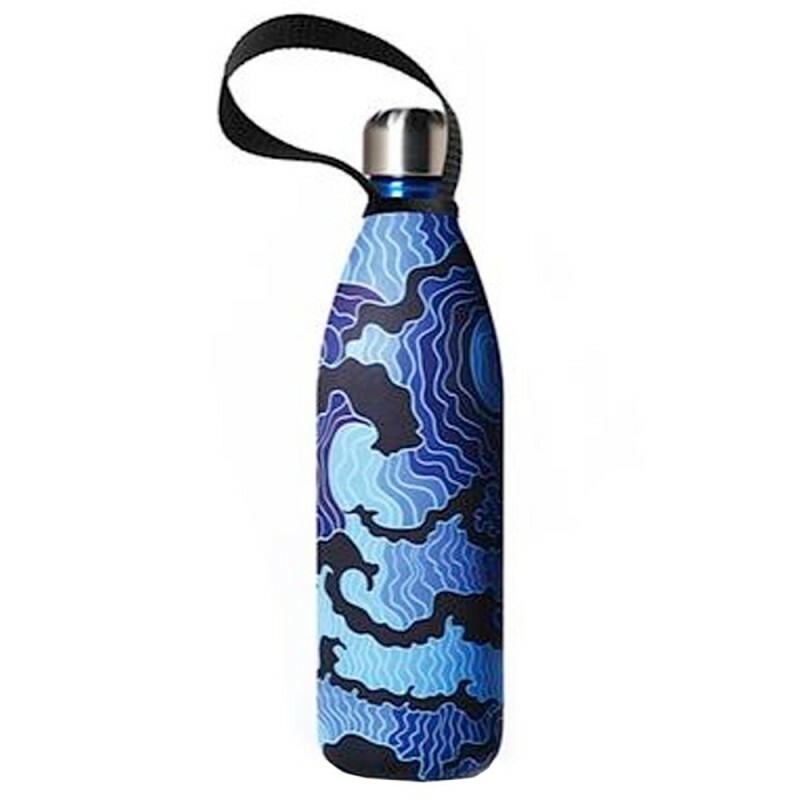 Blue and black water-like design. Designed for use with the BBBYO 570ml Glass Bottle and Flask. 21cm x 8cm. Neoprene sleeve with carry loop.